This Dension unit is an iPod / iPhone and auxiliary device. If offers song and playlist controls from the radio and steering wheel controls while never locking the controls on the iPod or iPhone. It also has a universal aux input that can take audio from virtually any device and play it on your factory speakers. This device tricks the radio into thinking its an external CD changer. Since it uses the external CD changer port it does not disable the CD or cassette in the radio. 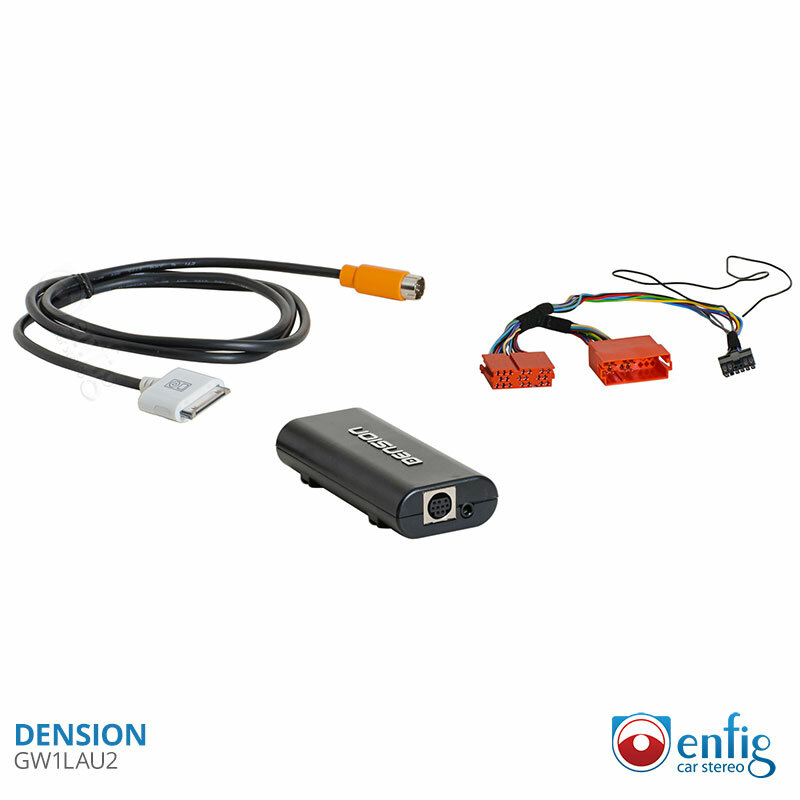 Dension has made OEM iPod adapters for Volkswagen / Audi so you can expect OEM build and sound quality. -Can be used as an AUX only. We give you the option at checkout to remove the iPod cable and take $5 off the price. -CD quality audio from your device to your car. -iPod / iPhone input via 30pin connector for charging and control from the radio. -Song up and down controls of iPod / iPhone from radio. -Playlist up and down controls of iPod / iPhone radio. -iPod turns on and off with the radio. -OEM build and audio quality. -Plays music from internet apps like Pandora and Spotify. Also controls them from the radio. -Plays prompts from navigation apps. -Call audio can only be heard if the aux is connected to the headphone jack. Great product - I'll probably take it out when we sell the car and re-use it or sell it! Watch the install vids and get the right tools (4 pullers), it's not too hard to do yourself in under an hour. Make sure to protect your dash and console with a towel as its very easy to scrape things with the stereo unit, once it's out. Feeding the iPod and Aux cables (do both while you are in there) was a little tricky, just take your time, and keep trying. I opted to install the iPod cable in glove box, and run an aux cable under center console, coming out right by passenger seat - so any phone or music player is usable. The stock units are pretty good on their own and my girlfriend loves not having that crappy tape adapter in there, and now I can hear from a block away, pumping Deadmau5 with a big smile on her face! If you want to play music from an iProduct or other devise with a 3.5mm jack, this is the way to go! If you want to read the song title, get the upgraded version. I purchase this for my Audi allroad 2005 with Bose, but so far there is only 1 function that works for me. I connect my iPod with the 30 pins cable; however, I can't go next, backward, playlist, or any other functions advertised in the product description. Lucky, play is still working and only interupted by numerous disc reload if the music piece is longer than 5 minutes. Not sure I can recommend this product to anyone.